Unique and Stylish Cheque Book Casing made of fashionable Denim &Black Artificial Leather. This can be a Classy gift for festive seasons being high on Utility. 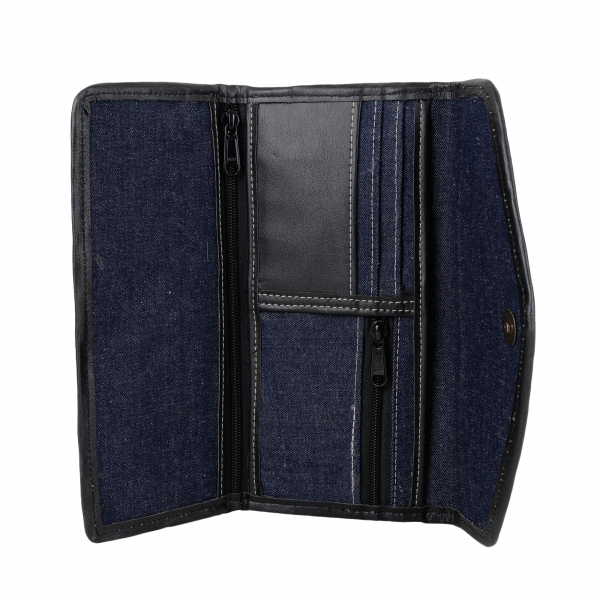 Also makes useful Corporate Gift to the Office Employees or to the Company Clients. 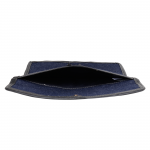 The compartments inside have enough space for a chequebook and even cash. 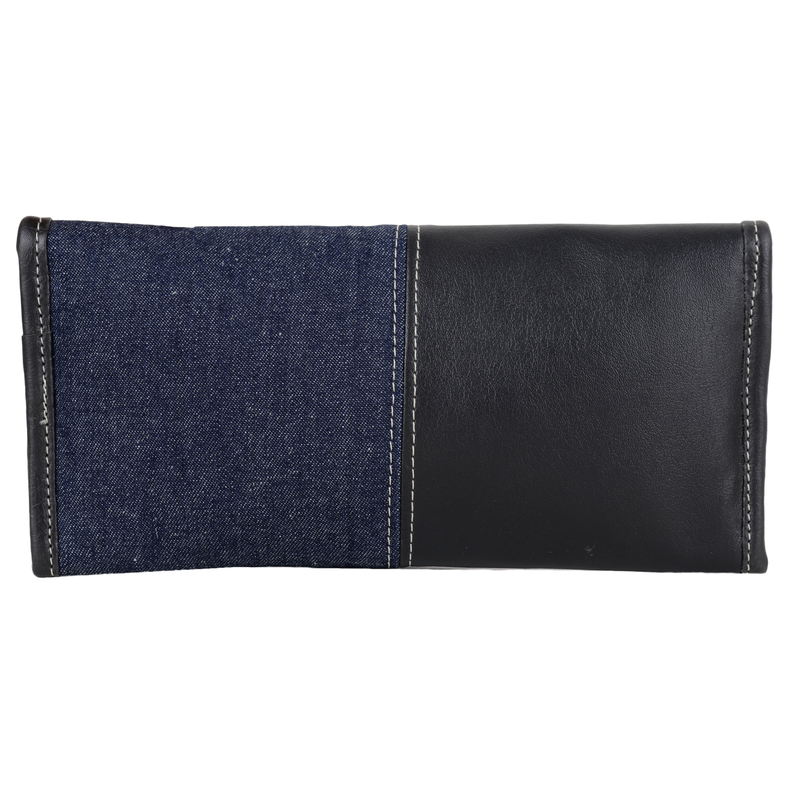 It can also be used as a clutch to carry passport and air tickets. 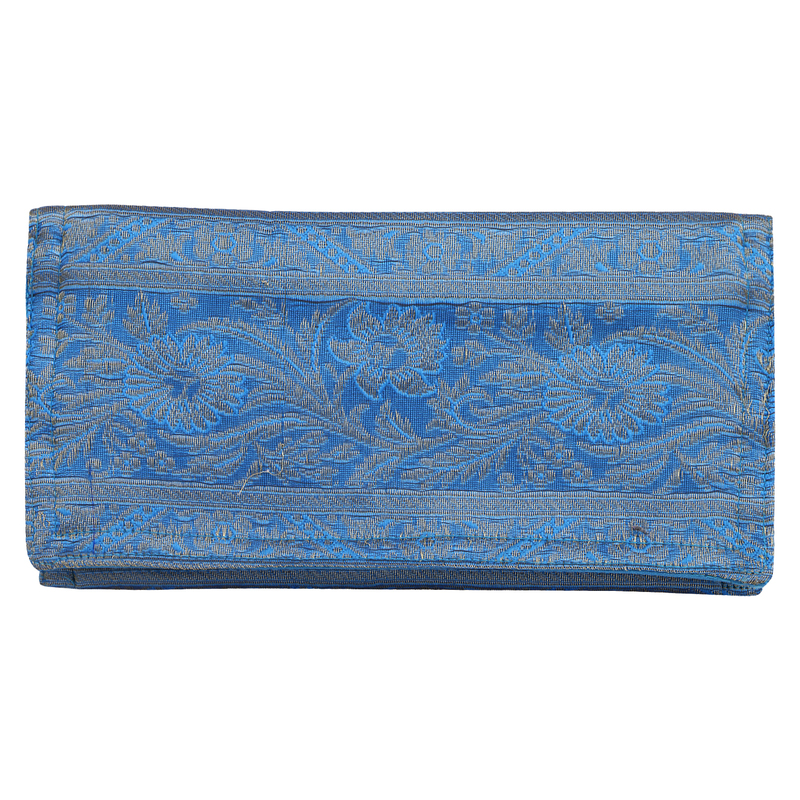 Your Choice makes one woman Artisans life who spent hours making such a beautiful gift for you. 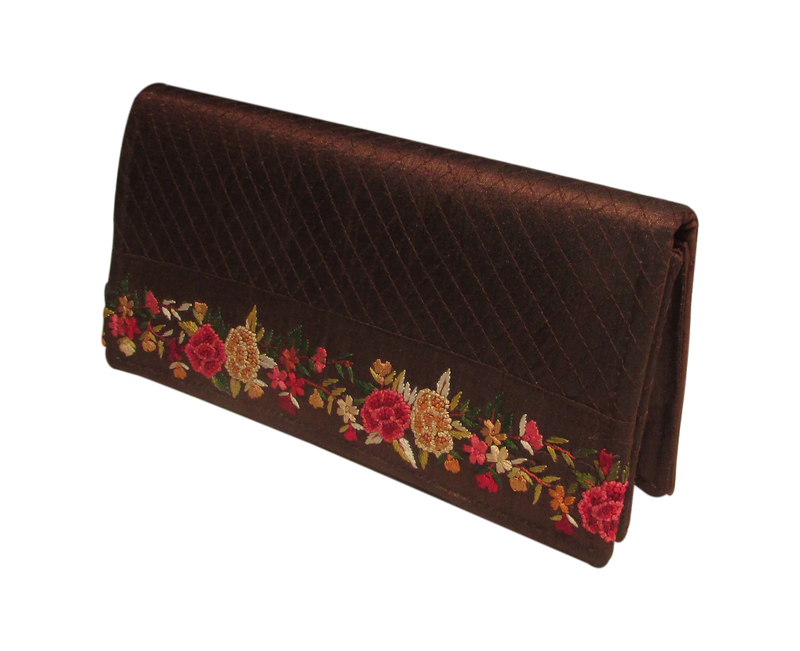 This brown clolor embroidered evening clutch purse is an ideal accessory to accentuate your evening wear or look impressive for an important business meeting. 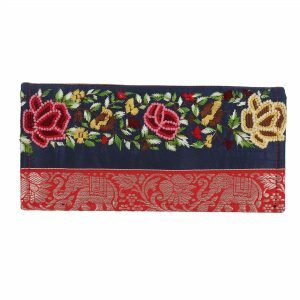 Meticulously designed and handcrafted by rural women, this 9.0 inch x 4.5 inch clutch easily tucks away underneath your arm. Moreover, it has plenty of room inside to carry your essential items such as keys, purse, and phone. 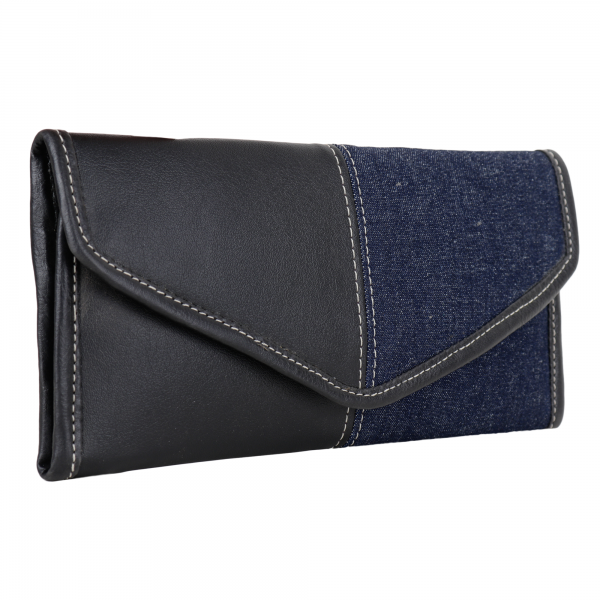 It also makes a perfect gifting item for a corporate or social event. 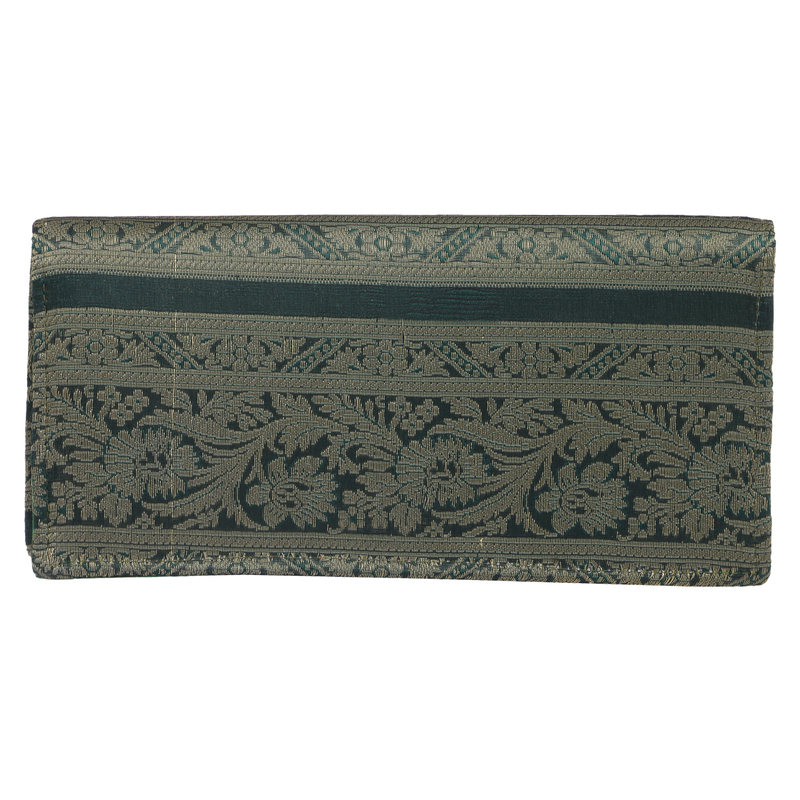 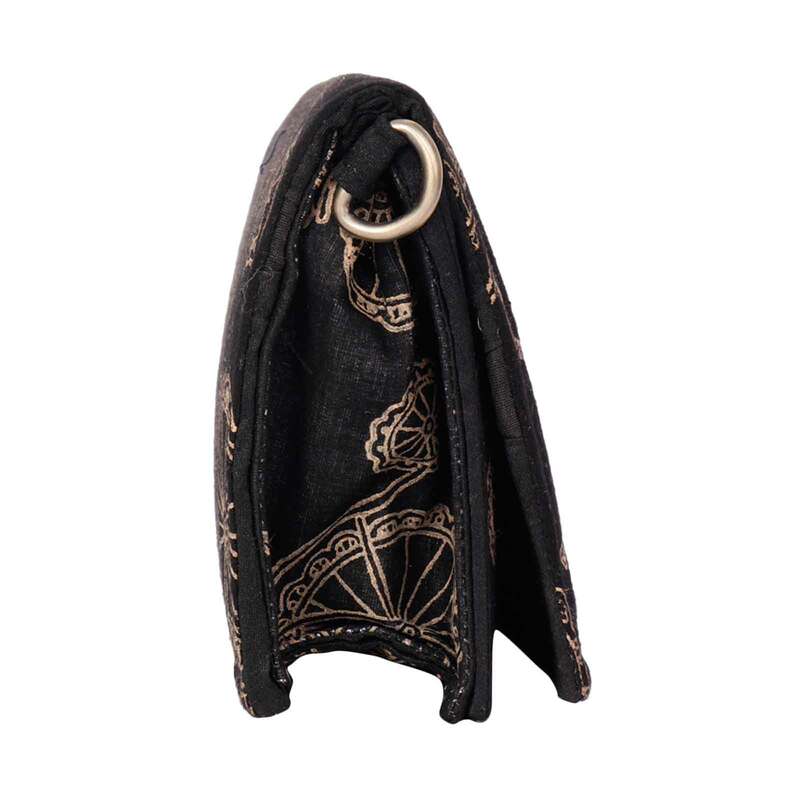 This black colour embroidered evening clutch purse is an ideal accessory to accentuate your evening wear or look impressive for an important business meeting. Meticulously designed and handcrafted by rural women, this 9.0-inch x 4.5-inch clutch easily tucks away underneath your arm. 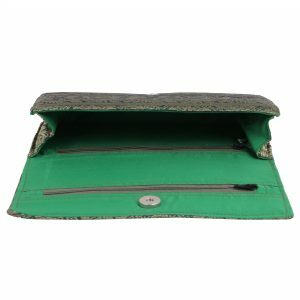 Moreover, it has plenty of room inside to carry your essential items such as keys, purse, and phone. It also makes a perfect gifting item for a corporate or social event. 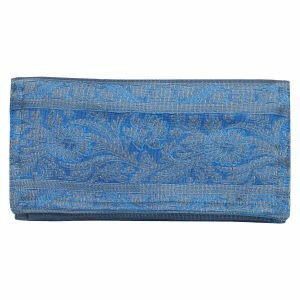 This blue colour evening clutch purse is an ideal accessory to accentuate your evening wear or look impressive for an important business meeting. Meticulously designed and handcrafted by rural women, this 7.0-inch x 4.0-inch clutch easily tucks away underneath your arm. 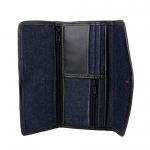 Moreover, it has plenty of room inside to carry your essential items such as keys, cash, and phone. 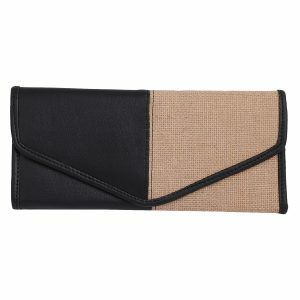 It also makes a perfect gifting item for a corporate or social event. This green colour evening clutch purse is an ideal accessory to accentuate your evening wear or look impressive for an important business meeting. 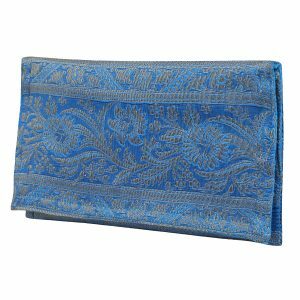 Meticulously designed and handcrafted by rural women, this 9.0-inch x 4.5-inch clutch easily tucks away underneath your arm. 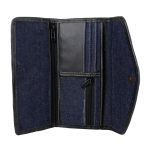 Moreover, it has plenty of room inside to carry your essential items such as keys, cash, and phone. 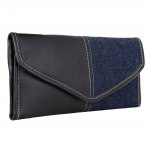 It also makes a perfect gifting item for a corporate or social event. 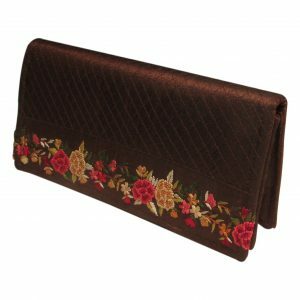 This Brown colour chequebook holder is an Ethnic and Modern Mix Design for today`s world to carry your cash and cards while on the important business meeting or Social Event. 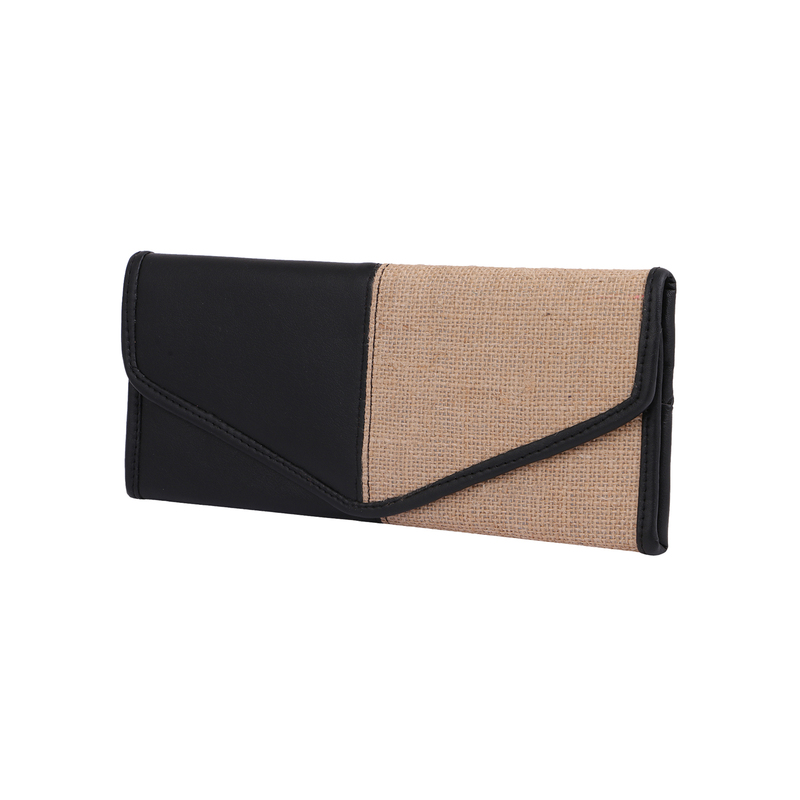 Made of jute with artificial leather is a real trendsetter. 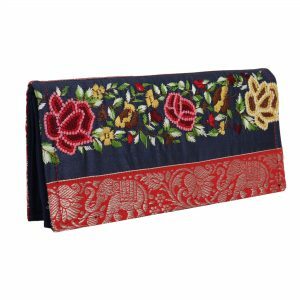 Your Choice makes one woman`s life who spent hours in making such a beautiful gift for you. 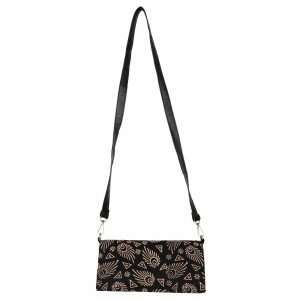 This Indha bag features a chic and artistic block printed patterns. 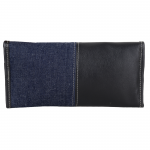 It has ample space and can be used to organize your daily essentials and segregate different items. 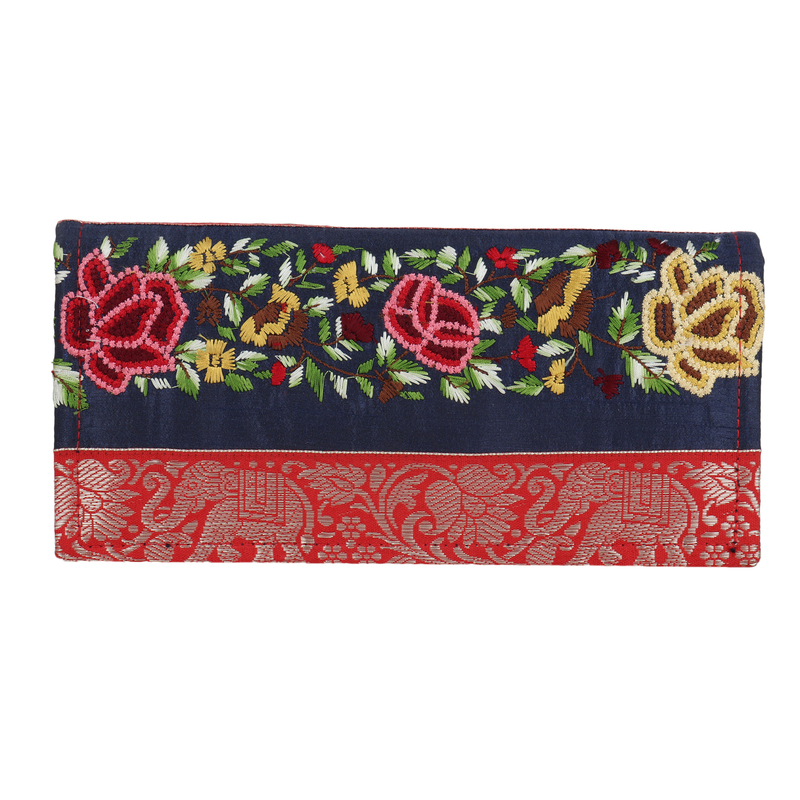 Designed by rural women artisans, our Indha bag is a unique handicraft accessory that can be paired with both casual and formal wear. 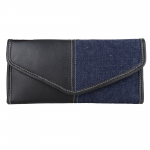 Create your own style with Indha.